Barefoot Restaurants | No Shirt, No Shoes? No Problem! 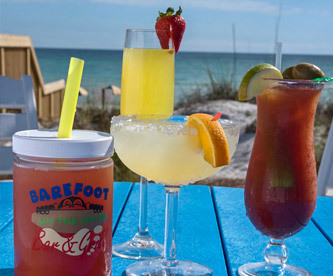 Barefoot Restaurants are a unique beachfront dining experience featuring Southern comfort foods, fresh seafood and local specialties. Whether you choose our open-air bar or the comfort out door patio deck, please join us for breakfast featuring a few new twists, lunch overlooking the Gulf of Mexico, or an intimate dinner with offerings including old favorites and new creations. You’ll feel right at home at any one of our five locations: Hide-A-Way Bar & Grill, On The Beach, the newly opened Barefoot On The Bay, the quaint Tiki Bar and our stunning Shrimp Boat. 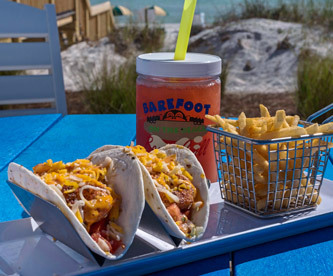 Open for breakfast, lunch and dinner, Barefoot Restaurants feature Southern traditions such as fried pickles, gumbo and of course, fresh peel n’ eat shrimp. 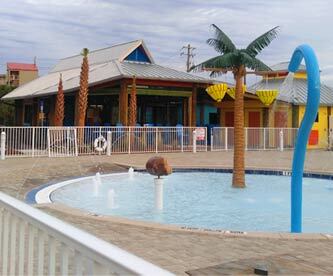 For a completely authentic local experience, join us at Barefoot – serving up sunshine and good times! © Copyright 2017 Barefoot Restaurants. All Rights Reserved.